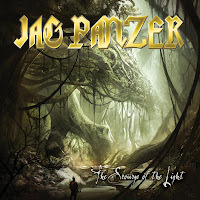 Jag Panzer's ninth studio record, The Scourge of Light, is a great addition to any vinyl collection--power metal fan or not. Both the CD and vinyl sit proudly in my personal collection because the music is fantastic and was a great album for the band to call it a day with after their break-up in 2011. Conklin's vocals are as good as they've ever been, and Jag Panzer lost little, if anything, with Broderick's departure for Megadeth. As a double release, The Scourge of Light houses two dark-green records that shimmer under low lighting and sound as great as they look. Saying the album is one of the better colored releases I've had on my turntable would be an understatement; compared with the CD, the music breathes free of poor mastering and, like other vinyl, benefits from an enlarged cover that recalls times when each piece was drawn painstakingly by hand. 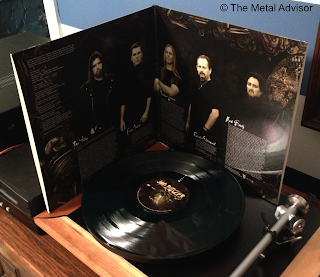 The Scourge of Light lets listeners know, too, with a label proclaiming its status as a limited edition album. 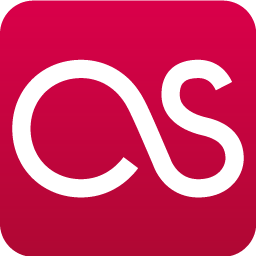 The number must have been fairly large, however, because even today, online retailers stock multiple copies and still manage to knock a few dollars off the price. Nonetheless, Jag Panzer never enjoyed full-blown popularity, and the overstock reflects that, despite excellent music taking refuge under the gorgeous cover. By being released on SPV, The Scourge of Light certainly had the tools at its disposal to get a bit more exposure. But life isn't always fair and great music often gets pushed aside for, well, not so great music. I wonder myself how many copies are left because, despite a seemingly endless number of "limited edition" pressings floating around, the supply is bound to run out sooner or later.